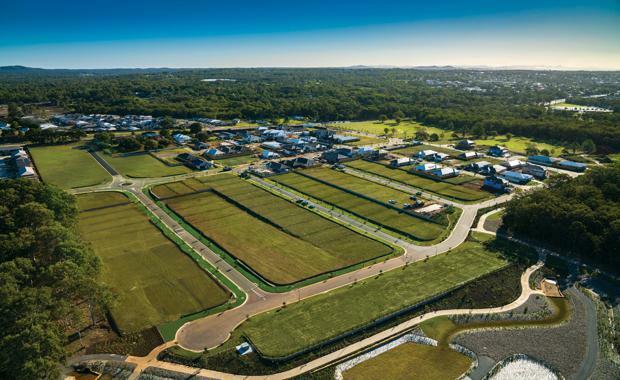 Bayside home buyers can experience one of Queensland’s largest display home villages with the launch of the Waterline Bayside Homes Expo at Thornlands on August 27. The new village will feature 23 stunning homes from some of Australia’s largest builders, including Plantation Homes, Clarendon Homes, Metricon, Simonds and DRHomes. 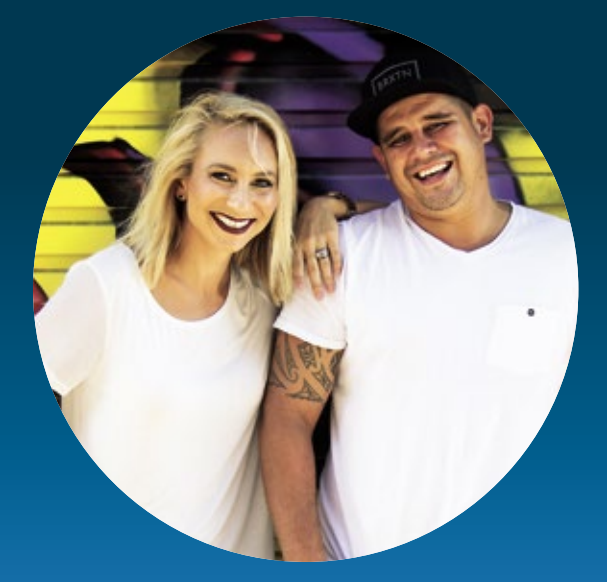 The Bayside Homes Expo will be launched with a fun-filled day of events on August 27 including entertainment, family games, barbecue, and a visit from popular ‘The Block’ contestants, Caro and Kingi. Caro and Kingi from Nine Network's The BlockWaterline marketing agent and Oliver Hume Joint Managing Director Queensland Marcus Buskey said the Homes Expo was a great opportunity to showcase the incredible diversity and options available from the builders. “We have done a lot of work with the Homes Expo to ensure we have a great diversity of display homes in terms of size, features and price points,” he said. “Regardless of your block size, location or budget there will be a home for you,” he said. Mr Buskey explained how the many display homes would offer prospective residents a taste of their future life at Waterline. The launch of the Homes Expo coincides with a strong surge in sales at Waterline with close to 100 blocks sold so far in 2016. 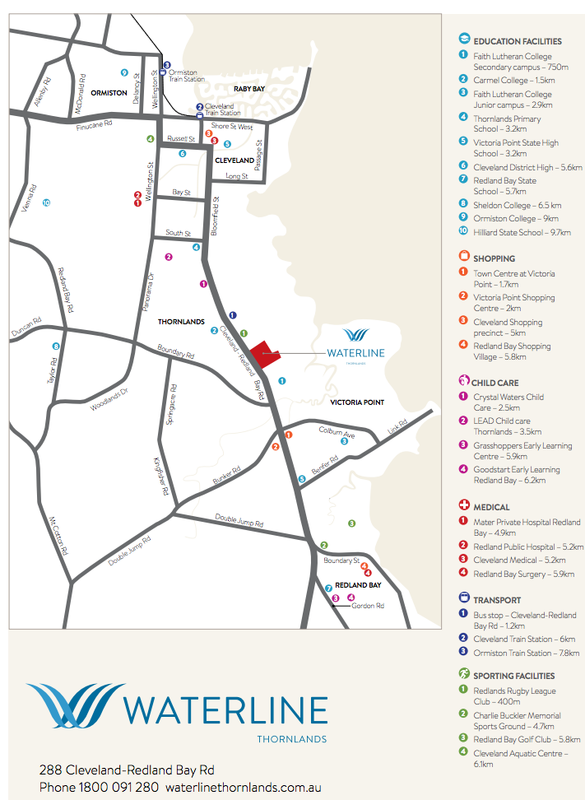 Waterline currently has just 10 blocks of land available with an average size of 482 sqm. Prices start from $320,500 with an average price of $335,900. A final release of 28 prestige parkside lots will be released to coincide with the launch of the Homes Expo. Waterline is being developed by ASX-listed Gold Coast company Villa World. 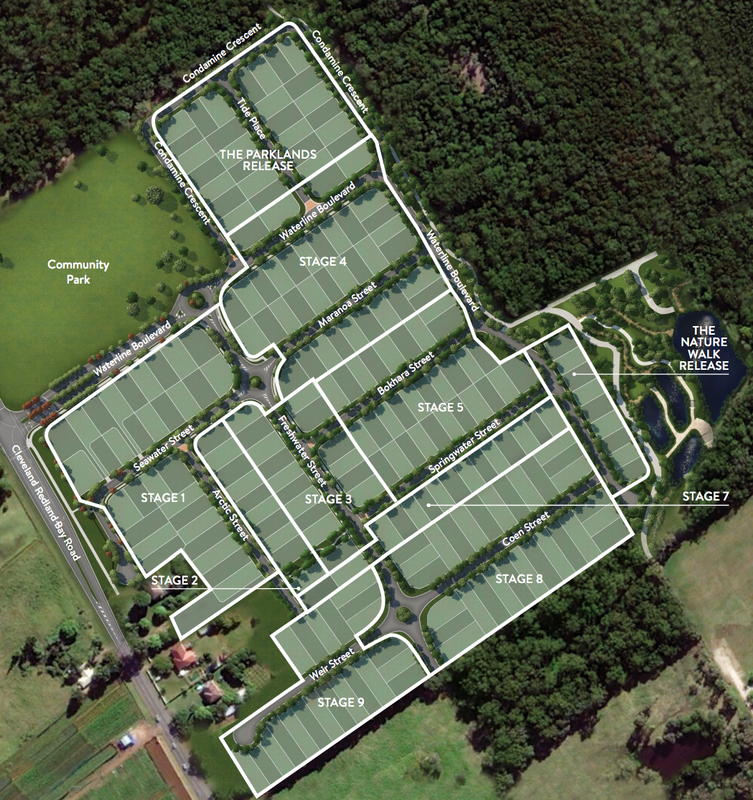 It is the company’s fourth project in the high growth bayside region. Villa World Development Manager Peter Johnson said the builders opening displays at the Homes Expo were among the most respected in Australia. Bordered by bushland and offering easy access to local arterial roads, Waterline has lots ranging in size from 375 sqm to an impressive 1097 sqm. Mr Buskey said the Waterline project had received strong demand from local upgraders and buyers looking to be part of a developing community. “Waterline provides residents with a high quality of life, a strong sense of community and easy access to a range of facilities, including schools, shopping centres and public transport,” he said. Waterline masterplanOn completion the Waterline community will be home to about 230 families. Located on Cleveland-Redland Bay Road just two kilometres from Moreton Bay, the estate is close to a range of public and private schools, shopping centres, recreational facilities and medical services. Waterline’s covenants promise the layout and structure will ensure a high standard of home design and construction, protecting the investment of all residents in the community. Its construction will allow for approximately 6.5 hectares of rehabilitation and natural regeneration, with retained bushland including new tree plantings. Development is set to be an example of future communities, set out by South East Thornlands Structure Plan, which calls for housing in the area to successfully integrate within the region’s network of cycle and foot paths, open space parklands, facilities and traffic connectivity.